Question: Do you have any photos of a built home? Anything would be greatly appreciated...Thank you! Answer: We don't have any photos, sorry. Question: what is the usable floor space in the attic of this plan? Answer: This plan has a very large attic space if you include over the main house area you could have at least a 80'-0" x 30'-0" space to work with. 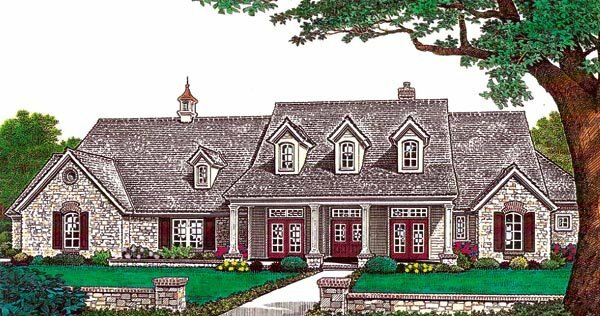 Question: Can you tell me the garage size on this plan?